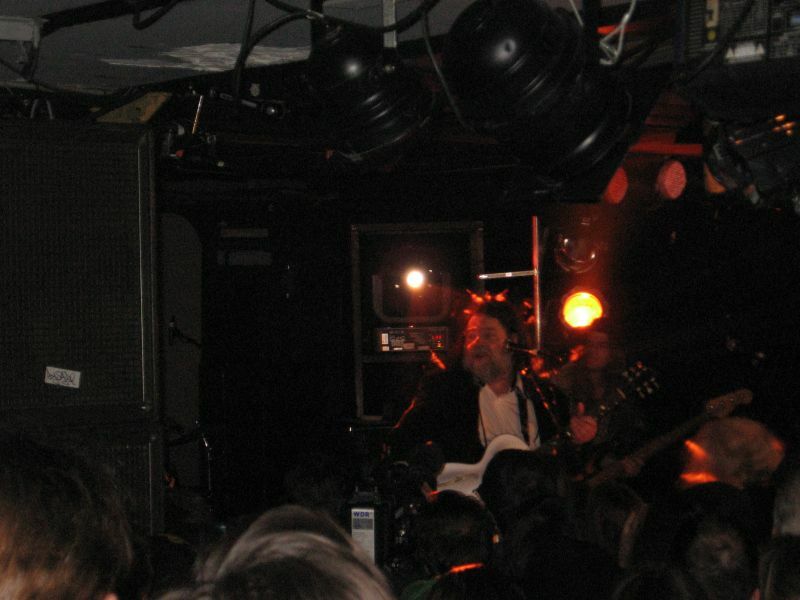 When I first heard about Roky Erickson's upcoming European tour in 2010, I was electrified, especially because he would play one exclusive show in Germany and that would take place at the Luxor in Cologne. 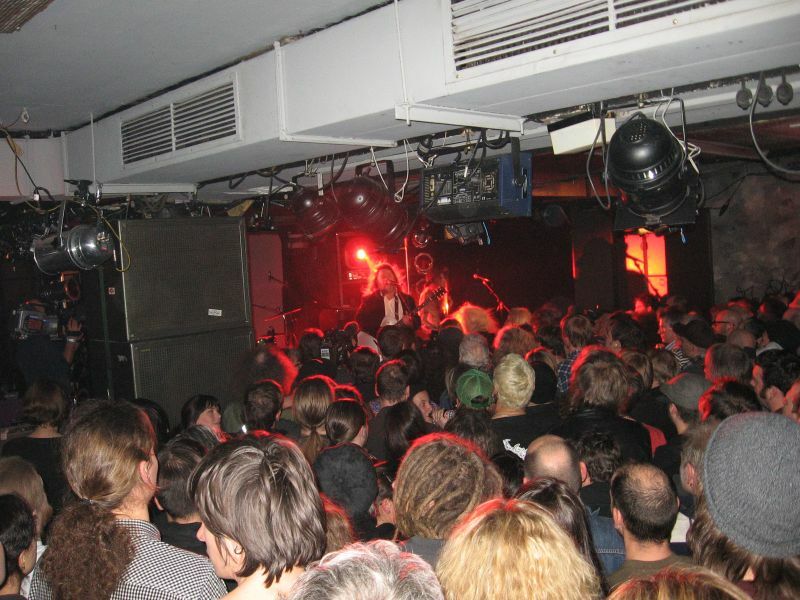 Cologne is not far from my hometown Oberhausen and so it was clear to me from the beginning that this was a gig with required attendance. Even if Roky's state of health was much better than 11 years ago, I never expected that this will happen some day. 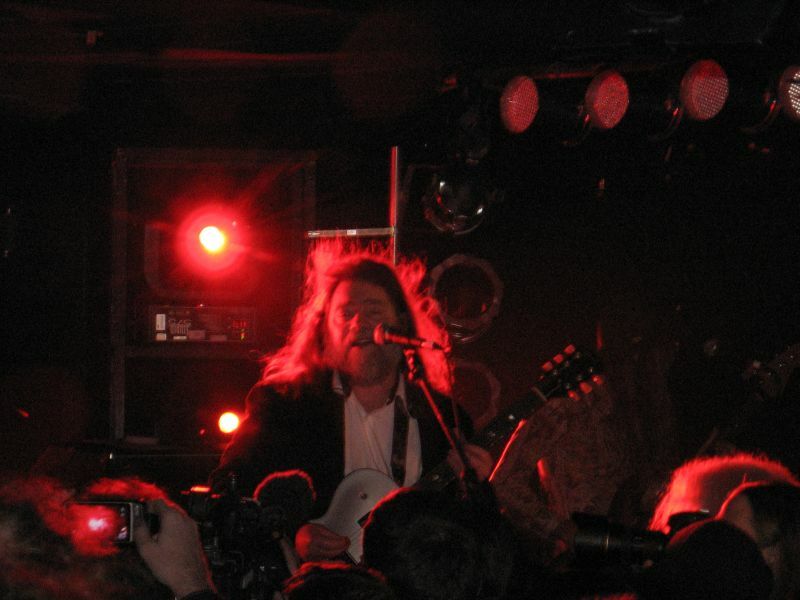 Although he played a couple of shows in Scandinavia during the last years, Mr. Erickson was never in Germany so that it was also a premiere for all concerned. Not surprisingly, the show quickly sold out. At December, 12th, it was finally time. Together with some very good friends we drove to the Luxor and we felt like a bunch of kids, who were on their way to a concert of Tokio Hotel (or something like that). When we arrived at the venue, it was not yet jam-packed, but that changed very quickly. You could slice the tension in the air, and it seems to me as if we were part of a secret psychedelic society who had gathered in Cologne to worship their high priest. But Roky Erickson truly deserves it. Anyone who is familiar with his biography will know how sad and painful his life was. He went through hell and back and was leading a withdrawn life, especially during the late 1980's and 1990's. His illness got worse and worse. But fortunately his younger brother helped him to recover. If you want to know more about this period in his life, I therefore strongly recommended to watch the brilliant documentation 'You're Gonna Miss Me', which is an intense and very touching movie about one of the world's most influential personalities of rock music. He and the 13th Floor Elevators are the fathers of psychedelic rock, and even if Roky Erickson's music in the 1970's was not as innovative as in the 1960's, he remains a fantastic songwriter and due to his personality and the lyrical content of his songs he was (and is) truly one of a kind. Let us return, however, to the present topic and that's his show at the Luxor. But before Roky Erickson entered the stage, it was time for Bolle & The Very Good Lookin’ Boys. It was a local act and their music was a mix consisting of high energy rock 'n' roll (without the energy) and 1970's organ-driven heavy rock. Yes, it sounds interesting, but I was bored stiff. Especially the vocalist was really annoying in particular due to his English announcements on stage. Dude, you are a German singer who plays in a German town in front of a German audience, so why don't you use your native language? This has always been embarrassing, but it looks as if he's the only guy who still thinks this is cool. But perhaps I don't understand the irony....Well, actually I don't care a pap for it, because I am pretty sure that I will never see this band again - or at least I hope so. For an observer, it was very interesting to watch the 500 people after the support act. Hardly any of them wanted to leave their place and everyone was pretty excited. Suddenly the lights went out and then there was silence. 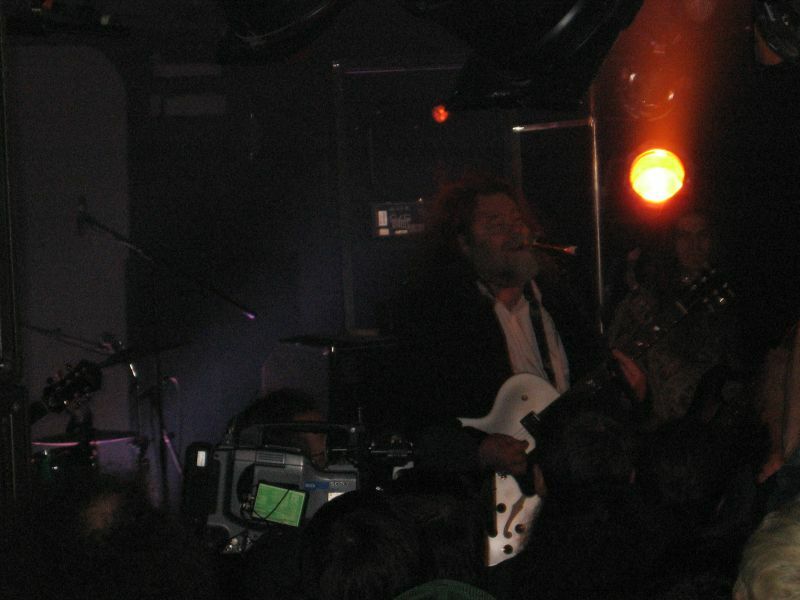 And then, finally the big moment had come and Roky Erickson and his young backing band mounted the stage. First I thought that he is accompanied by Okkervil River (my wish was The Explosives) which was not the case. I have never seen or heard his new band before and that was not a bad thing. To me, Roky seemed very reserved, shy and pretty fragile in a positive way. He looked good and healty. The first track was 'Cold Night For Alligators', followd by 'Creature With The Atom Brain'. There were some playing errors at the start but pretty soon everything ran smoothly. Roky's voice is still in extraordinarily fine condition and is ripened like a good old vine. Further hits followed. 'Don't Shake Me Lucifer' and 'Starry Eyes' were the next highlights. The Luxor was cooking and it was great to see that everbody was having a good time at this very special evening. Although the backing band wasn't at all as powerful as The Explosives, they did a great job. And when Mr. Erickson made a mistake (it has rarely happened), the band was on the spot. 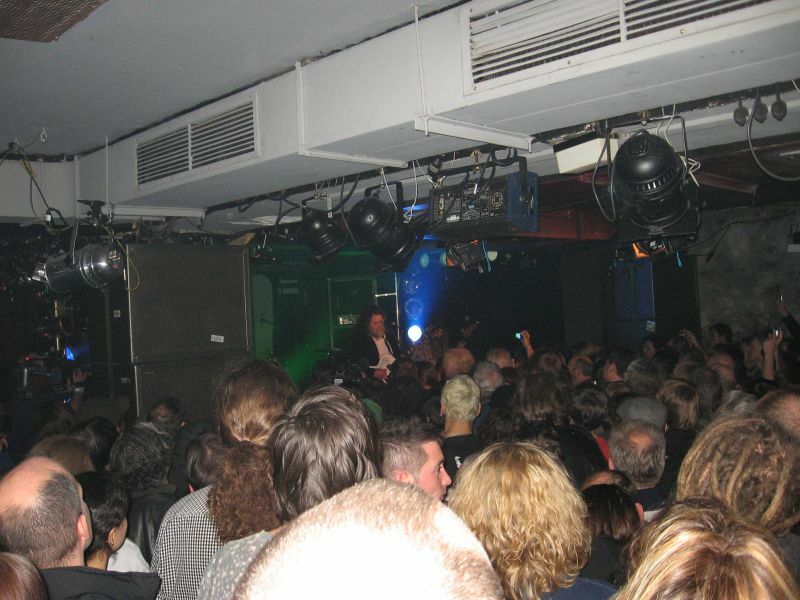 The whole venue was immersed into intense red light when 'Bloody Hammer' came from the speakers and the people went nuts during 'The Wind And More'. Then, it was time for the first track from The 13th Floor Elevators. 'Reveberation (Doubt)' was a psychedelic journey back to the mid 1960's and performed in a soulful way. I was impressed by the authentic vintage guitar tone from Jon Sanchez, but the whole band proved that they are extremely good at playing the old immortal classics. 'Don't Slander Me' revealed another root of Mr. Erickson's music, and that's good old 1950's rock 'n' roll. One thing that definitely fascinates me about his music is the fact that he is able to perform each of his songs in a different way. Due to this reason, 'Don't Slander Me' was a bit heavier. 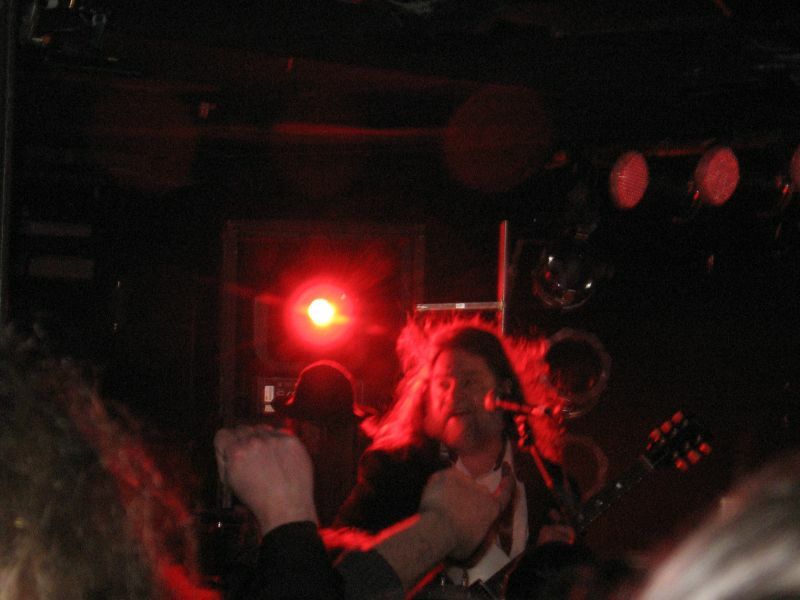 Then came 'Night Of The Vampire', which Entombed have made popular. 'John Lawman' was pure bluesrock magic, whereas 'Rollercoaster' and 'Splash 1' were among the most beautiful moments during the show. 'Splash 1' in particular was marvelous and heart-touching. 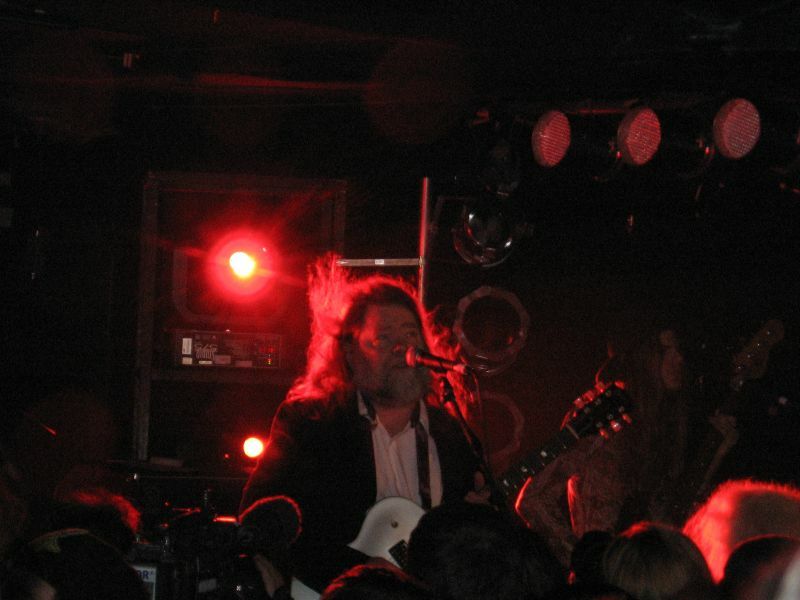 Roky Erickson's hypnotizing vocal performance was mind-blowing, while his band unleashed an elegant psychedelic storm. Wow, that was definitely a magic moment. Next, 'The Beast Is Coming' was a surprise, but it was of course no surprise that almost everyone sung along immediately, when 'I Walked With A Zombie' filled the venue with a morbid vibe. One cannot imagine my gladness, when they unpacked 'Two Headed Dog' and once again everyone psyched out! 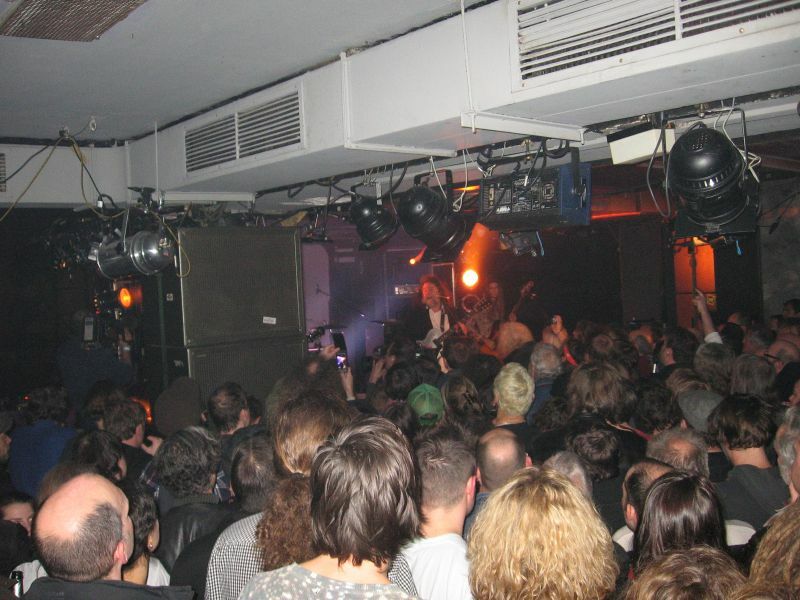 Despite this, the whole show and especially Roky's performance was almost introverted and very reticent. It was more like listening to an old and wise storyteller, who is using his own musical arsenals with the intent to create an intensive atmosphere. And he was quite successful in doing so. 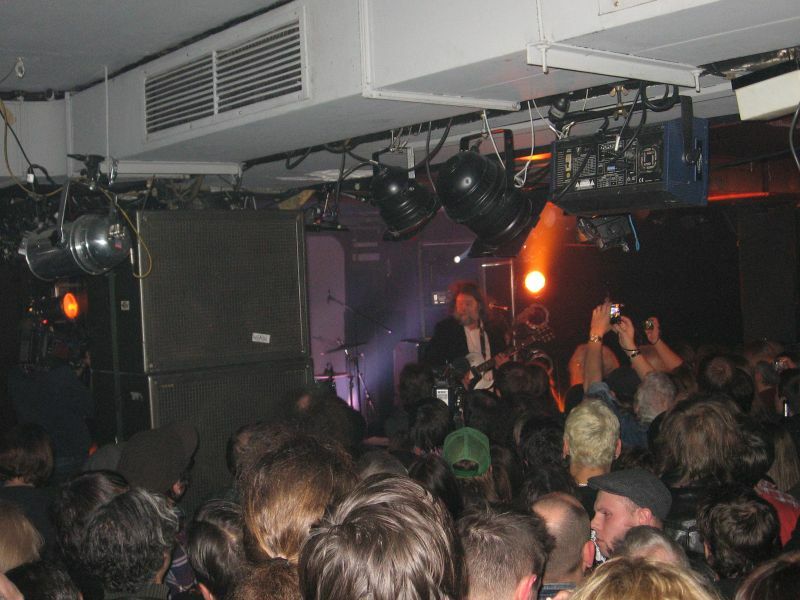 As an encore, they did play 'You're Gonna Miss Me', which had been originally performed by Roky Erickson's first band The Spades and then later become the only hit-single from The 13th Floor Elevators. It was therefore logical that they played this wonderful tune, because it is simply part of each Roky Erickson setlist. All of this, as also the whole show, was absolutely special and truly unique. It was worth waiting almost two decades for Roky Erickson, and this evening remains unforgotten. I can only hope that we will see Austin's godfather of psychedelic rock in Germany someday again... Take care, Roky! We're gonna miss you!